8028 Vandal-Proof Doorphone Kit. Includes Controller, Power Supply, Digital Door Station, Vandal-Proof Faceplate, and 6 ft (2m) Network Cable. Greet visitors from any phone connected to your communication network and allow entry with the simple press of a key. Great for unattended lobbies, front doors, gates, warehouse doors, or anywhere visitors may require assistance. Install the full duplex capable digital door station anywhere you can run single pair 24 AWG wire. The network connection and door control relay are located securely inside the premise at the Controller location. 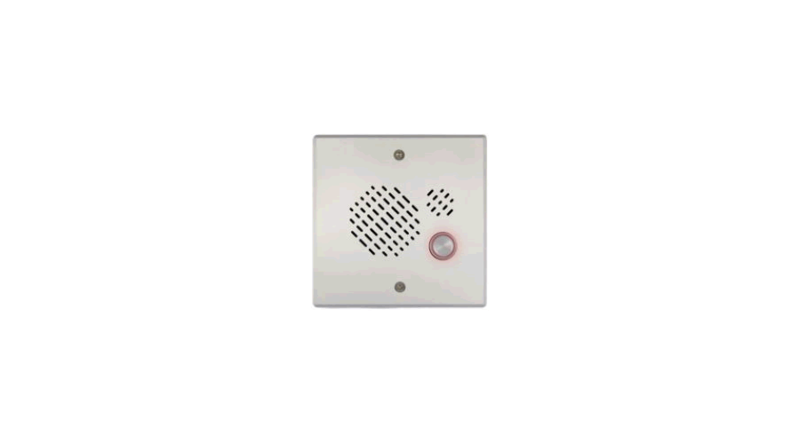 Flush or surface mount the door station indoors or outdoors in commercial or public facilities or private residence.